Miami Gardens party bus and limo service will have you riding comfortably throughout Miami-Dade county area. 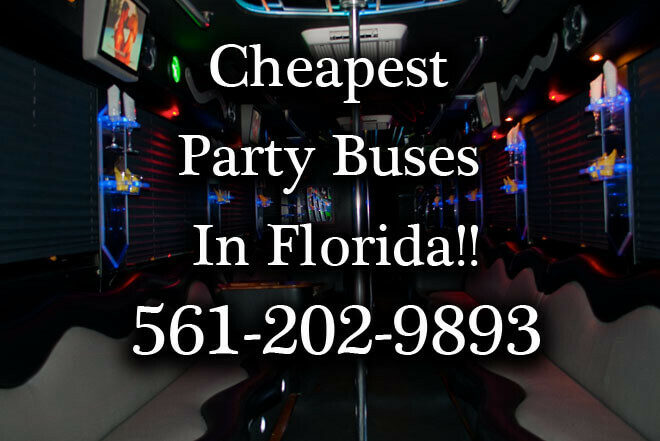 Reserve a party bus in Miami Gardens and celebrate a birthday, night on the town, bachelor party, or bachelorette party just to name a few. Check out our luxurious Miami Garden limos that will have you taking pictures and people having their eyes glued on the limousine as it pulls up to the club. Check out our fleet of vehicles for hire on our website Price 4 Limo and get a quote in 30 seconds!! 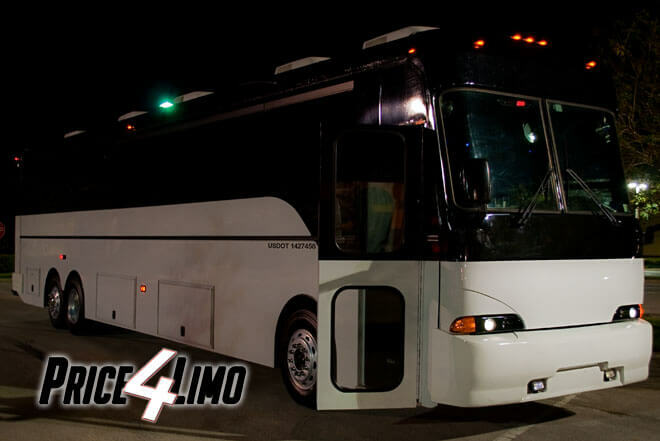 Preview Miami Gardens Party Bus and Limo Fleet. Miami Gardens party bus is in a great location if you are a HUGE South Florida sports fan. Travel to some of the most watched sports in the country. 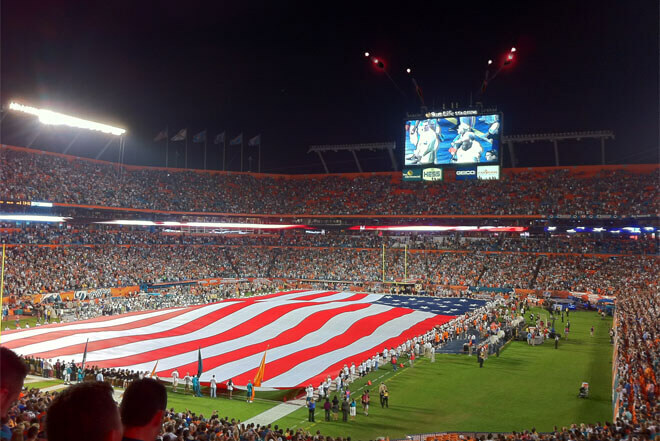 Catch a Miami Dolphin, Florida Marlin, and Miami Hurricanes at Sun Life Stadium. 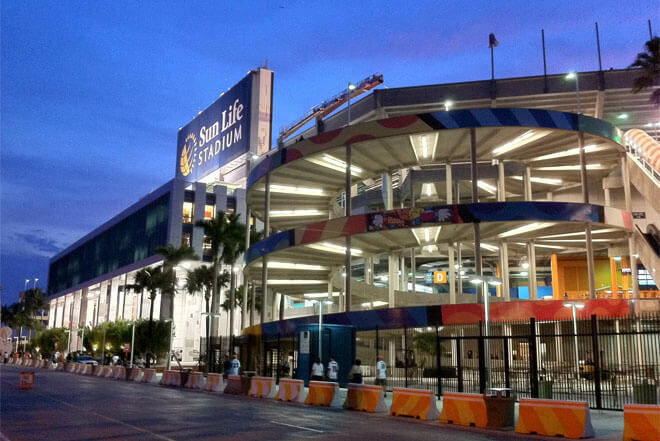 Reserve a limo bus in Miami Gardens and travel with up to 14 passengers to check out the games. Arrive early and tailgate with the best of them and enjoy a beer and some hot food as you wait for the game to start. Make your tailgating party an event that everyone can enjoy and ride with a huge crew and reserve our Miami Gardens mini bus that can hold between 20-32 passengers. One of the best things about getting a tailgate together is when you reserve one the biggest and baddest charter buses in Miami Gardens. With a 50 passenger charter bus you will be able to have 3 tailgating parties when you pull up. With our mini bus and charter buses in Miami Gardens you might not want to be under the hot Florida sun for long but we have you covered with our large LCD screen TV where you can catch the pregame show on Fox or CBS. All of the Miami Gardens party buses will have leather interior and surround sound system where you can listen to music on the radio or plug-in your MP3/IPOD player with our connectivity cable. When you make your way throughout Dade County you're going to enjoy the ride in a Miami Gardens party bus. But what's really going to be an eye catcher from everyone who sees our vehicle pull in is our Miami Gardens limos. Hit some of the most popular night clubs around such as Cafe Iguana Pines and Club Lexx just to name a few. If you are celebrating a bachelor party have our driver take you to Tootsie's Cabaret which has some of the sexiest women around. In regards to the ladies don't worry we have you covered let us pick you up in our Hot Pink Limos, Zebra Hummer Limo, or Hot Pink Hummer Limo to celebrate with your friends. We'll take you to the club or to Passion Parties where the ladies are always welcome. Plan a night on the town as you ride in our Escalade Limo, Rolls Royce Limousine, or Cadillac Limo just to name a few. You'll be the center of attention no matter where you go and everyone will be checking you out. Miami Gardens party bus and limo service is your guide throughout this Miami-Dade County area. Whether you are tailgating at any of the games, celebrating a birthday, bachelor party, bachelorette party, and many more we have you covered. Reserve a party bus in Miami Gardens and head out to some of the most popular places surrounding the city. If you are looking for a ride to the airport allow us to provide you a ride to the airport at Miami International Airport or Ft. Lauderdale International Airport since Miami Gardens is located right in between both major airports. Reserve a one hour rental or even a 10 hour rental with our list of fleets so you don't have to worry about picking just a specific time frame. Visit our website Price for Limo and search through our website for some of the most popular vehicles around.